So I was at work playing with a coworkers iPhone, I noticed there were 2 iPhone HDR applications. I had to check them out, they were only 2 bucks a piece so I downloaded them and paid him in full, a full 4 bones for 2 HDR programs. I was thinking, “These are going to be hokey”, but I figured I’d review them for the blog. So here it is, your product review and tutorial of how you, yes YOU could be doing HDR on your iPhone, iPad, or iTouch for a meager 4 clams. Do not be fooled by my sarcasm, I am actually getting my boxer briefs in a twist, this is going to be amazing! The Good: You can put filters on your photos on your phone or mp3 player. The Bad: You can put filters on your photos on your phone or mp3 player! You can get some really interesting HDC (High Dynamic Crap) images but this one misses the true nature of HDR. It reminds me of the artists that only know Photoshop for it’s filters. Nothing wrong with that, but at some time you need to grow out of it (I started there, all of my early work circa 1999). This one claims to be Pro! The interface for this app is slightly more complicated than the first. 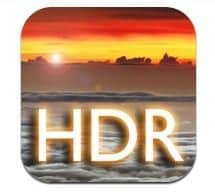 You are confronted with “Auto HDR”, “Manual HDR”, or “Library HDR” upon the app startup. For experimentation purposes I opened Auto HDR first. I was prompted to hold the camera steady, the app proceeded to take 2 pictures, one bright and the second dark. I was pretty impressed with that, it knew it needed the dark and the light image to obtain some type of range. Manual HDR mode was a lot more fun! Upon my selection I was prompted to tap somewhere light, it took a picture, then tap somewhere dark, and it once again took a picture. Library HDR allowed me to go through my buddies phone and HDR pictures he had previously taken. After the pictures are aligned in either Auto or Manual mode, you are prompted with 5 slider bars. The Good: This app has a strong backbone and a decent representation of what HDR could be on an iPhone. It was pretty fun playing with the picture taking part. The results are decent but it is still HDR on a device designed to make phone calls. Or is the iPhone designed to do that? The Bad: The slider bars were limiting and more like the slider bars you would find in photo editing on Microsoft Word. What it all boils down to: I would use Pro HDR. Yes I know, make fun all you want! I am pretty sure if I were in a pinch without my DSLR you could catch me playing with Pro HDR on my iTouch. The HDR Camera app however, is complete crap! I as an HDR photographer am offended by its mere existence. The sad thing is, we will probably see a lot of this type of HDR in the future. HDR photography is the way of the future. With the introduction of apps like these I would venture to say in camera HDR applications are not too far away. I fear that day as I am absolutely addicted to the HDR process.